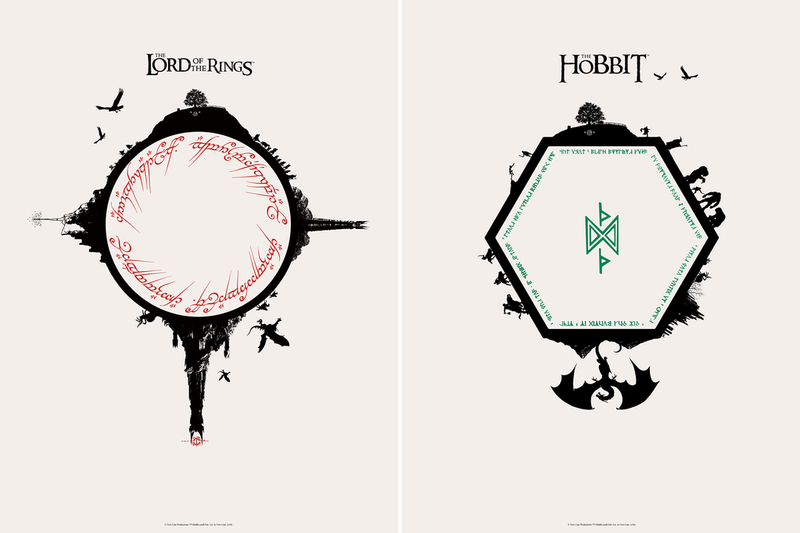 Yesterday, Bottleneck Gallery took us back to Middle Earth with the release of Matt Ferguson’s minimalistic and clever screen prints for The Hobbit and The Lord of the Rings series! As BNG explained, “Matt’s brilliantly pared down these two fantastical series within these prints.” Each poster is a timed release, meaning the run size of each print will be set based on the number of pre-orders placed over the next 48 hours. 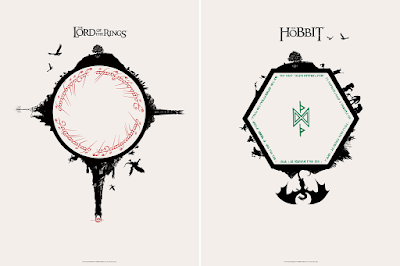 The Hobbit and The Lord of the Rings by Matt Ferguson are 18”x24” hand numbered screen prints. Each print retails for $30 or you can buy them as a 2 piece set for $50. These posters are available for purchase at the Bottleneck Gallery online store from now through 11:59am EST on Saturday, March 17th.